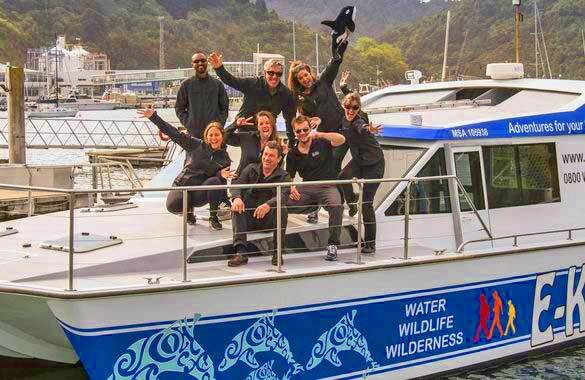 E-Ko Tours are Marlborough's dolphin swimming and wildlife specialists offering a variety of award-winning tours in the world famous Queen Charlotte Sound. Whether you are after an exclusive opportunity to swim with the dolphins that inhabit the region or a historic and informative wildlife experience E-Ko Tours provide you with a personal and conservation focused trip you will never forget! Tours get you up close and personal with dolphins (5 different species), NZ Fur Seals and a variety of rare and endangered bird species. Explore Motuara or Blumine Island Bird Sanctuaries and be amazed at the breathtaking views. The knowledgeable skipper and guide will provide you with a fun and informative commentary about the conservation, culture and history of this beautiful place.